Because magnesium deficiency causes all kinds of havoc with our cell physiology and worsens as we age, appropriate magnesium supplementation will not only help ensure we don’t age so fast but it also will prevent many of the major diseases we are facing today. Research published in the American Journal of Epidemiology in 2002 showed that when the diets of 2,566 children ages 11-19 were studied, less than 14% of boys and 12% of girls had adequate intakes of magnesium. When magnesium is deficient, things begin to die, but when our body’s magnesium levels are topped off, our body physiology tends to hum along like a racecar yielding higher performance along many physiological parameters. Most doctors do not want to acknowledge that magnesium deficiency can lead directly to cancer, thus to a significantly shorter life. Same goes for diabetes and heart disease—magnesium deficiency brings on these diseases. Magnesium is a vital mineral whose lack leaves us open to not only damage from radiation but also damage from heavy metals and the thousands of chemicals to which we are commonly exposed. Without sufficient magnesium, the body accumulates toxins and acid residues, degenerates rapidly, and ages prematurely. Magnesium is the “lamp of life”—it operates at the core of physiology offering us what can only be called scientific miracles in medicine. All of life collapses around its loss. The realization that magnesium is at the center of life in chlorophyll should help us place magnesium in the temple where it deserves to be. The most perfect medicine in the world is the one you have to have—no matter what—to continue your life. There are certain substances, all nutritional in nature, that provide essential lifelines to happy and fully functional cells. Though contemporary medicine does not want to admit the truth and reality about diseases and their causes, it is clear that nutritional law holds the key to the resolution of disease—not pharmaceuticals that are toxic and damaging to cellular environments. The U.S. Food and Drug Administration (FDA) is informing the public that prescription proton pump inhibitor (PPI) drugs may cause low serum magnesium levels (hypomagnesemia) if taken for prolonged periods of time (in most cases, longer than one year). Information about the potential risk of low serum magnesium levels from PPIs will be added to the WARNINGS AND PRECAUTIONS sections of the labels. In 2009, approximately 21 million patients filled prescriptions for proton pump inhibitor (PPI) drugs that drive magnesium serum levels down. In approximately one-quarter of the cases reviewed, magnesium supplementation alone did not improve low serum magnesium levels and the PPI drugs had to be discontinued. 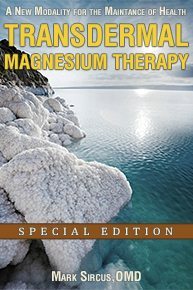 This would not have been the case if researchers had been more knowledgeable about magnesium supplementation and how to more effectively administer it. Hypomagnesemia is under-recognized and under-reported, yet clinically serious adverse events are commonly reported symptoms of hypomagnesemia. One of the hidden dangers of hypomagnesemia is that it produces impaired parathyroid hormone secretion, which may lead to hypocalcemia. Information from epidemiological and other studies supports the fact that a low intake of magnesium increases the risk of developing and/or dying from cardiovascular disease or stroke. Thus increasing the magnesium intake from water is beneficial, especially for populations with an insufficient dietary intake of the mineral, which means everyone., Yet the American government chooses to put highly toxic fluoride in the public water systems instead of magnesium. The UN’s World Health Organization (WHO) has recommended that drinking water contain 25-50 mg of magnesium per liter to prevent deaths from heart attack and stroke. American bottled water averages < 5 mg of magnesium (Mg) per liter, while bottled water in the rest of the world averages about 20 mg of magnesium per liter. 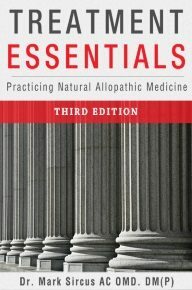 Paul Mason, famously known as the magnesium librarian, wrote, “The evidence has been overwhelming that Americans are very deficient in Mg, as evidenced by the 23% shortfall from the RDI, yet the FDA and DOJ have covered up keeping silent about the millions of deaths indicated by over 50 epidemiological studies from nine countries. Recent studies clearly confirm that water-borne Mg is far, far better in preventing cardiovascular pathologies than food-borne Mg.” Mason is the owner of a water mine that has the highest levels of magnesium and bicarbonate in the world! Drs. Burton and Bella Altura say that ideally water should contain 100 mg of magnesium per liter. Normally one has to add pure magnesium chloride to one’s water supply to attain such optimal levels. Personally I just add a few sprays of Ancient Minerals magnesium oil to a little cup of water and chug it down like whisky; it can taste pretty strong but it makes an excellent nutritional supplement. See my essay on Combining Oral and Transdermal Dose Sensitivity and Therapeutic Effect. People who have had magnesium injections for years to prevent spasms in their arteries and veins have been able to get off of the injections by consuming enough magnesium-rich water. When treating oneself for magnesium deficiency, which occurs easily from drinking magnesium-deficient water and eating a host of processed “white” foods, there is nothing like the transdermal approach to recover one’s cellular magnesium levels. Eur J Cardiovasc Prev Rehabil. 2006 Aug;13(4):495-506. J Water Health. 2008 Dec;6(4):433-42.